After you solve the problem, you must then “deliver” your answer within strict time guidelines. The purpose of this handout is to review these “delivery systems” so that you can work to develop more effective time-management skills which, in turn, will produce the necessary bar-passing standards. Both the essay and performance tests, as noted above, are examples of the problem-solving speed examination. 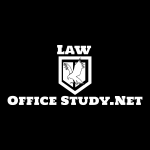 For each, it is incumbent to (1) initially solve the problem and (2) develop a “lawyer-like” written answer that satisfies the bar passing standards required by the Examiners. Whether you do so in 60 minutes for the essay or 180 minutes for the performance tests, it is valuable to learn those techniques that will cause you to use your test-taking time more efficiently and effectively. The schematic figures that follow represent an overview of the time-management needs for both the essay and performance test. C. Organize Answer: ± 15 min. 180 M A. Office File: ± 30 min. D. Write: ± 75 min. B. Library: ± 60-75 min. As noted above, once you solve an essay or performance test, it then become paramount that you deliver your written answer within the typical 30-45 minutes you have for the essay or 60-75 minutes you have for the performance test. Many of the organizational and paragraphing techniques for the essay easily apply to the performance test and they are summarized for you below. Apart from the different writing styles or techniques you use to actually analyze your answer, are the two basic organizational techniques you use to set it up. Depending on the specific subject that is being tested for either the essay or performance test, apply the following organizational approaches in structuring your answer. Sometimes the single essay or performance test answer will utilize both approaches. Using the organizational techniques will cause you to more efficiently and effectively use your test-taking time and present a logically methodical approach for both writing and grading your answer. Also, remember to always take the actual interrogatory and use it to provide the initial “anchor point” headnote for your answer using the roman numeral approach. After you have chosen the relevant organizational technique, it will then be important to chose the appropriate writing style, or paragraph technique for each of the issues you analyze. Each of these writing style techniques is summarized, below. The ”*Major” and “*Minor” techniques are, first and foremost, the most important. Situation: For major issues, time permitting. Approach: Two components: A legal paragraph and an analysis paragraph. Example: Evidence is logically relevant that has a tendency to prove or disprove a disputed fact. When the autopsy photos were offered they were logically relevant because they proved the disputed fact as to the cause of death. Situation: For minor/negative issues or major issues when time is a factor. Approach: Only an analysis paragraph. Example: When the autopsy photos were offered they were logically relevant because they proved the disputed fact as to the cause of death. Situation: Used in combination with the formal organizational technique, at the beginning of your answer, for subjects based on the proof of elements, time permitting. Approach: Begin your sentence with “In order to prove” (cause of action) and then be sure to number each element (which you will thereafter sequentially examine). Example: In order to prove negligence, S must establish the following elements: (1) that he was owed a duty, that was (2) breached, which was the (3) actual and proximate cause of his (4) damages, with no available (5) defenses. These are discussed, below. Situation: Used to contextualize specific and more general issues (note “FC” in your ICO) and to economically “cover your bases” in mentioning an issue that may only be marginally present. Approach: Begin your sentence with “Although,” then briefly a part of the more general issue’s rule, and then focus on the specifically relevant issue. Situation: Occasionally used with subjects based on the proof of elements, when you want to mention elements not present in order to give both context and continuity to the elements that are at issue. Beware: Be sure that the “missing” elements are truly non-issues. In other words, “cut and paste” – combined – all of your paragraphing techniques. Approach: Begin your sentence with the word “Presuming,” then briefly raise the missing element(s). Example: Presuming an offer, acceptance, and valuable consideration, at issue is whether any defense to the formation of the contract are present, as discussed below. Situation: Used with issues that merit a two-sided analysis, exploring both the “pro” and “con” of an issue. Remember: Many times issues can be easily dispensed with absent the need for more protracted discussion (+, -, ±* ). Approach: Following your initial analysis paragraph (using the major or minor writing style), begin the next sentence with a word or phrase such as: “Alternately,” “Alternatively,” “In contrast,” “On the other hand”; or, to bolster your critical analysis, with “In addition,” “In support,” “further,” etc. Example: When the 12 autopsy photos were introduced, they may be logically relevant (here, note the use of the discretionary “may”) because of their probative value intending to prove the cause of death and the identity of the victim. In contrast, they may also be legally irrelevant given their cumulative inflammatory and prejudicial value. (Then, finishing the thought . . . In the discretion of the court, some of the photos will be admitted into evidence as probative and others excluded as too prejudicial. Learning to use both your organizational and writing style delivery systems interchangeably – as you adapt them to the specific writing situation presented by the essay or performance test. If you do, they will enable you to use your test-taking time with more efficiency and effectiveness -–and then prepare you to develop better skills and standards for the bar as a problem-solving speed examination. Have faith – you can do it!